Jon Armstrong gives a wonderful lecture in Austin. On Monday 18th of January, Jon Armstrong stopped off in Austin Texas for a lecture on his current highly acclaimed lecture tour. He lectured at the Omni Hotel for the local SAM Assembly 206. Attendance was high and his lecture was a huge success with all those in attendance. It was everything you could hope for and more and the tiered lecture room was a perfect venue for a close-up magic lecture. 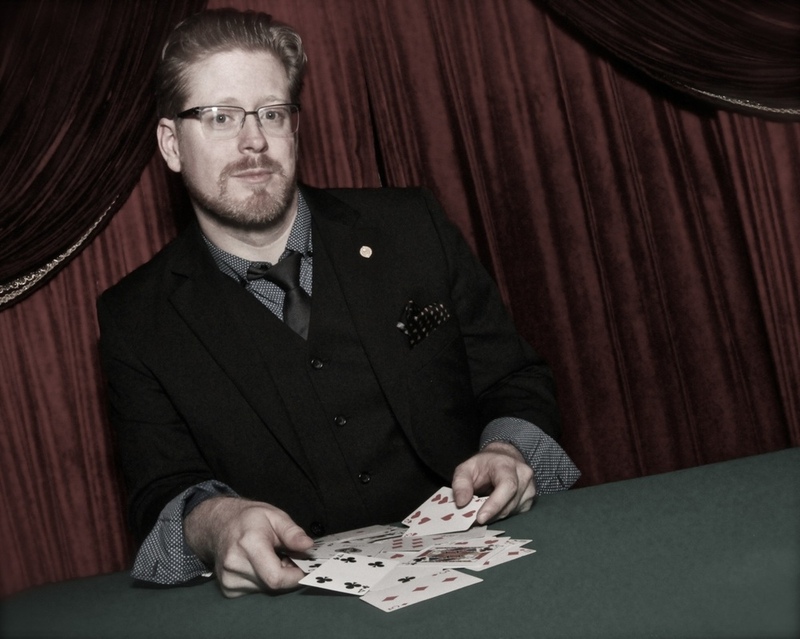 Armstrong is a highly regarded performer/lecturer and a long-term favorite at the Magic Castle in Hollywood. He has toured and lectured in many countries and it was very easy to see why he has created such an impact worldwide. His recent appearance on Penn & Teller: Fool Us! 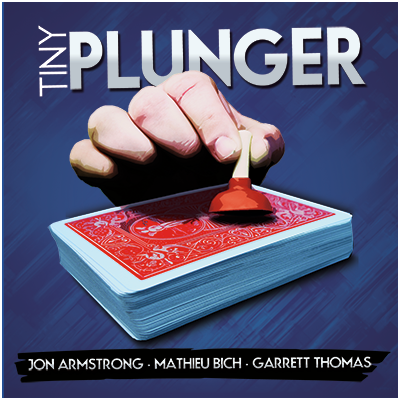 where he performed his signature Tiny Plunger routine has also made him a firm favorite with non-magician audiences nationwide. Aside from some beautifully crafted tricks to learn there was a surfeit of excellent advice for any magician. Armstrong is a thinking magician whose analysis of both method and effect cannot fail to improve the performance of any performer. He is a master at simplifying a trick to the exact point where it achieves maximum affect but never going an inch to far in the direction of oversimplification. 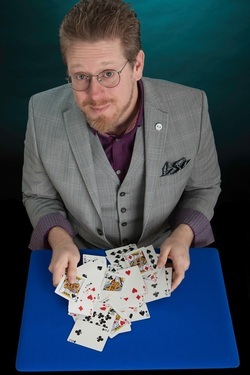 Armstrong began his lecture with a very effective card under poker chip that achieved a nice laugh before nailing the audience with a finale that has to leave any audience gasping at the obviously skillful final revelation. The explanation was an object lesson in using misdirection and timing to make the execution of secret actions logical and practical. Jon followed this with a rubber band effect that was fast and effective and really impressed me— and I am no fan of rubber band magic! After his brief excursion into non-card magic, Jon gave the attendees a very thorough demonstration of his famous Tiny Plunger routine which ample showed why this routine has become such a phenomena. It combines great magic, great situational comedy into a multi-dimensional routine that gets progressively baffling as it evolves. It was a highly anticipated highlight of the lecture and everyone was delighted with the thoroughness with which he demonstrated every detail involved in the routine. Armstrong’s handling of a classic “Biddle Trick” demonstrated his basic three-part approach to creating strong magic; these three elements were encapsulated as conviction, intent and reverence. It was a fascinating triple principle that beautifully explained why he is such a powerful performer. A very strong follow my leader effect was also a perfect example of this three part philosophy of close-up magic. Two other gems in the lecture were Armstrong’s teaching of his tabled deck double lift and an amazingly effective and well thought out twenty-card Out Of The World handling. The variation of Paul Curry’s classic had been re-named Out Of This Blah Blah Blah by Jon, Believe me there was nothing blah about this routine—it is a commercial killer.If you have a love of good magic I strongly recommend that you make sure you catch Armstrong’s lecture. Your time will be well spent and you are almost guaranteed to become a better magician just from his philosophy, not to mention the great tricks you can learn. ~ by Nick Lewin on January 29, 2016. Jon Armstrong just lectured here in Tucson, AZ for our SAM 136. He was GREAT, ENTERTAINING and a CARD GENIUS.